Added new onboarding slideshow to introduce new Mixlr Pro plan. Listener list now displays as part of the main app window, so you can easily see who’s tuned in to your broadcast at any time. Added a link to Mixlr Pro listener statistics page direct from the app. Added notifications for Mixlr Pro users when peak listener limit is approaching. Playlist “Add Sounds” button is now always visible. Fixed: bug which caused lost connection messages to be rendered badly. 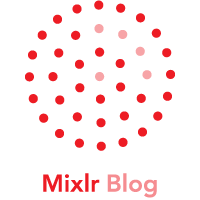 It’s now easier to upgrade your Mixlr account if you run out of time during a live broadcast. Fixed: Windows 10 missing audio device issues are now fully resolved. Fixed: recordings window no longer blocks when opening if you have a lot of recordings on your Mac or PC. Fixes a bug which caused distorted audio input when opening an odd number of channels (for example, one mono and one stereo channel) on the same input device. Fixes a bug which could cause a crash when using an audio input device with a large number of channels and which runs at a sample rate other than 44.1kHz. Fixes bug which meant that event notifications defaulted to OFF. Further graphics card compatibility fixes for Windows users. This update is for Windows users only. Disabled direct OpenGL rendering for now to ease compatibility issues with some Windows graphics cards. The app is now built using native (MSVC) compiler. Crash reports can now be submitted to Mixlr to help us continue to improve the reliability and stability of the service. The app now automatically detects the available graphics drivers, and falls back to the best available option. This should lead to better and smoother performance on modern computers, and improved compatibility with older versions of Windows and inexpensive graphics cards. Also a number of minor bugs are fixed. Add events reminders and functionality. Mac: app now supports Retina mode, rendering at high resolution on compatible Mac laptops and screens. Mac: add a script to migrate recordings and other user data from the older Mac App Store versions. Improved verification of uploaded showreel broadcasts. This should help to reduce occasional broken/missing showreel recordings. Windows: Fixed a bug which could lead to showreel recordings and live broadcasts including periodic distortion or gaps, usually once every ten seconds. Removed Mixlr from Mac App Store. Future versions will be distributed as a signed binary outside the Mac App Store. Re-enabled multi-file drag-and-drop and fixed various App Store-related playlist bugs. Mac: Fixed a bug which could lead to showreel recordings and live broadcasts including periodic distortion or gaps, usually once every ten seconds. Fixed missing showreel items bug. Links in chat are now clickable. “Publish to showreel?” prompt is back. Better Facebook integration: logging in using Facebook will mean you won’t have to log in again to share your broadcasts. Tweet your live broadcasts without leaving the app. Use the older Facebook share dialog, which will include the user’s personalised message in the post. The “Recordings” window will now include broadcasts made with versions of the app older than 2.5. Fixed missing DLLs causing issues on some Windows installations. Share to Facebook without leaving the app. Improved broadcasting flow: set your title and category, and share quickly to Facebook or Twitter, after starting a live broadcast. Released recent changes to the Mac App Store. Listen back after finishing a live broadcast, then upload later. Some network and broadcasting bug fixes requested by our users. Fixed a bug which caused opening some microphones to trigger an “invalid number of channels” error. Fixed issues with the monitoring channel. Redesigned VU meters: more accurate, faster responding, and no longer obscured by the mixer sliders. Easy-to-see CLIP indicators. Added “Snap to 0dB” option. Multichannel soundcard fixes: Mixlr no longer opens every channel of an ASIO or CoreAudio soundcard, when it only requires 2 or 4. This improves interoperability with third-party software, especially in Windows environments. Mac audio bug fixes: resolved issues which could prevent monitoring on the same soundcard being used as an input, and otherwise improved stability of audio engine. Improved resampling performance and quality when using audio input or outputs at sample rates other than 44.1KhZ. Fixes for the mixer to improve the gain control and make it easier to set the optimum volume for playlist and external audio inputs. Fixed issues during login and improved error handling. Added a control bar to the Playlist with control buttons and a progress bar. Improved audio engine to improve microphone latency. Fixed audio issues with some hardware and playlist setups, improving audio quality and further reducing the likelihood of problems with your Mixlr broadcast.